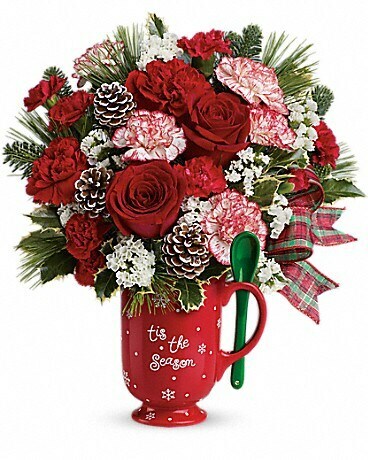 Warm their hearts this holiday with this merry mug! 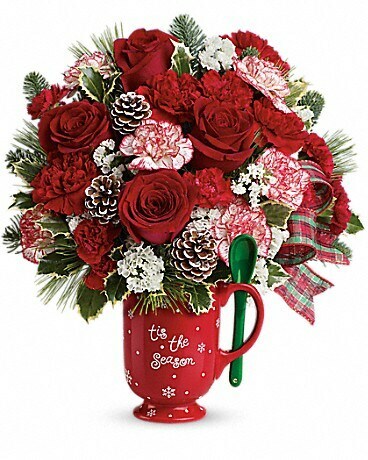 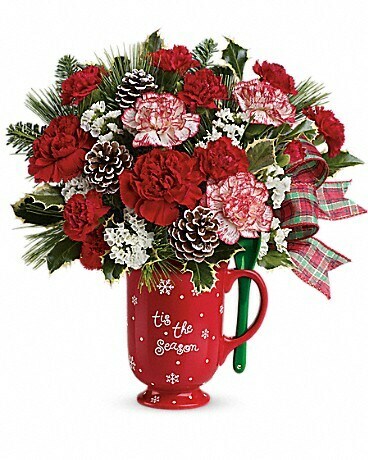 Overflowing with happy holiday blooms including red and peppermint carnations, it's a charming Christmas keepsake that will serve up hot, steaming cocoa for years to come. 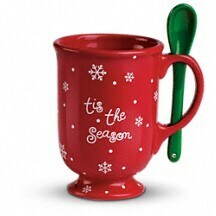 Even includes its very own stirring spoon!